Elementary OS Luna final was released just a day ago. As we noted in our earlier elementary OS Luna review, the developers behind the project has a keen attention to detail, which is very visible in the overall styling of the OS. That include the default elementary OS wallpapers. They are the among the best you can have in any OS. 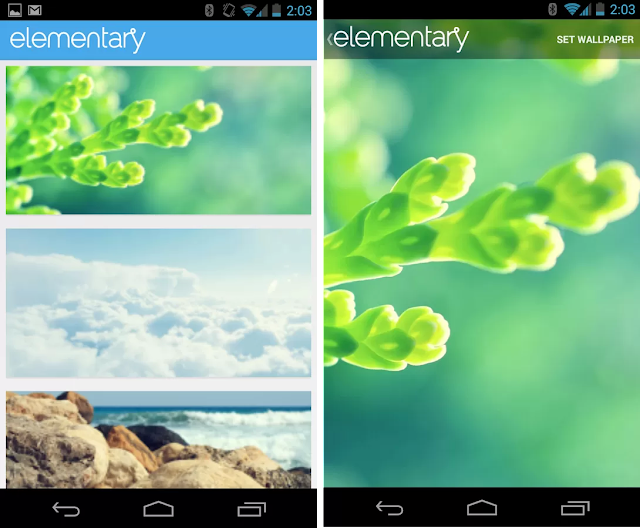 And now, you can have them all in your Android phones and tablets too, through elementary Wallpapers app for Android. Like the OS, the Android app is a well designed one too. Very simple in functionality and really good at overall stability. And some of the wallpapers look really good in phones too.